Commercial Ductwork, Winter Haven, FL | Johnson's Mechanical Inc. Commercial Ductwork, Winter Haven, FL | Johnson's Mechanical Inc.
You can count on us to make sure your Winter Haven commercial ductwork is in great shape. Taking care of your business’ HVAC system is quite important if you want it to last and not require constant and expensive repairs. One of the ways to do this is with regular maintenance, which includes maintaining the commercial ductwork. 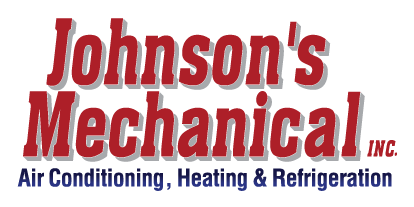 At Johnson’s Mechanical Inc., we offer a variety of services that focus on the commercial ductwork in your building, so you can have the peace of mind that you are doing all you can to extend the life of your HVAC system and provide your employees and customers with the best indoor air quality possible. A commercial ductwork appointment entails checking out all the accessible ductwork to make sure there aren’t any leaks and to see if it needs to have dust and debris removed. We have been doing HVAC work in Winter Haven, Florida since 1982, so you can rest assured that your business is in capable hands when it comes to the commercial ductwork and the system itself. We can easily set you up with a regular maintenance program that will keep your HVAC system running efficiently. This lets you enjoy it longer, and by making sure it is running properly, you can save on utility costs, as well. Dirty commercial ductwork makes your unit run harder, which costs more all the way around. If you have any questions about our commercial ductwork services or any of our heating, cooling, and refrigeration services, don’t hesitate to contact us. We’ll make sure your HVAC system runs reliably and efficiently, so you can concentrate on running your business.